The 110gsm tarpaulins are a slightly stronger alternative to the economy groundsheets for when more rugged protection is required. These covers are ideally used as temporary roofing due to their large size and waterproof abilities. However there are many other ways these sheets can be utilised such as for protecting building material, logs and garden equipment from adverse weather conditions such as wind and rain. These tarps are lightweight and easy to handle so are therefore perfect for use in the home and garden as well as for industry purposes. This product is manufactured from a closer weave of polyethylene than the standard 80gsm budget tarpaulins, producing a more resilient, longer lasting sheet. This material is then laminated on both sides to further increase the robustness of the item. Additionally it is completely waterproof as well as being rotproof, skrinkproof and UV protected. Eyelets are situated every metre along all sides of the tarp within the rope reinforced hems. There are also eyelets at every corner that are strengthened with plastic patches due reduce the chance of them coming loose when put under strain. 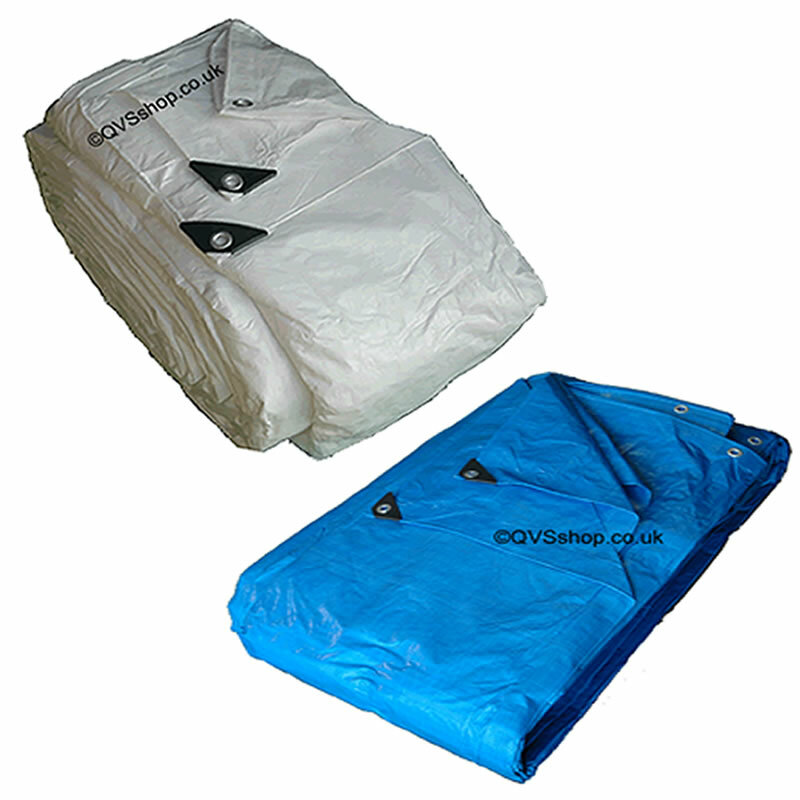 These covers are available in two different sizes with one being blue and the other being white. Shrinkproof, rotproof and UV treated. Aluminium eyelets every 1 metre. Available in 2 sizes in specific colours. Sizes available: 12m x 16m white, 15m x 15m blue.